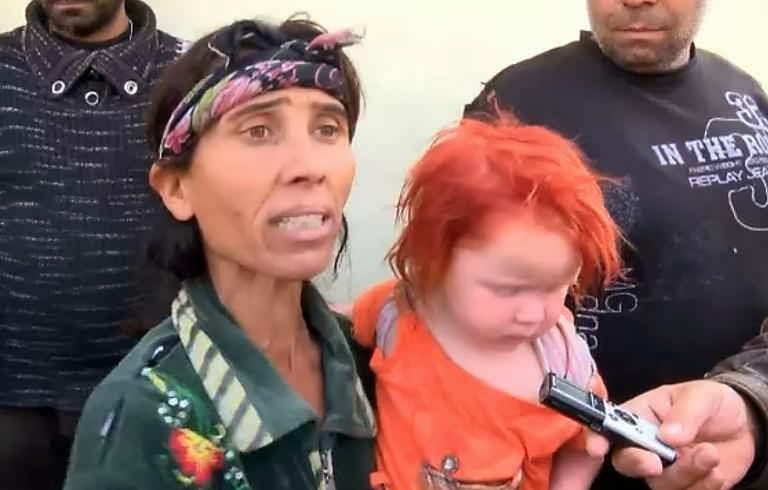 Sofia (AFP) - DNA tests confirmed Friday a Bulgarian Roma couple living in dire poverty as the biological parents of Maria, a mystery blonde girl discovered last week in a Greek Roma camp. "DNA samples showed that Sasha Ruseva is the biological mother and Atanas Rusev is the biological father of the child called Maria," Bulgaria's interior ministry chief of staff Svetlozar Lazarov told reporters. "A pre-trial probe was opened on the case against (the mother) for allegedly agreeing to sell her child in Greece in 2009," he added. The interior ministry and the prosecution have yet to decide if the parents -- who have nine other children and live in the Roma ghetto of the town of Nikolaevo in central Bulgaria -- will be detained, the official said. Green-eyed Maria was found living with a Greek Roma couple in a camp near the town of Farsala last Wednesday, sparking global news interest and hundreds of enquiries from parents of missing children. DNA tests showed that the 39-year-old man and 40-year-old woman taking care of her were not her real parents. The couple were accused of abducting the child, prompting an international appeal for help finding her parents. Now I might have to re-calibrate some of my prejudices. Of course the Gypsies/Roma/Romani have interbred over the centuries, and sometimes ugly parents have a cute child.